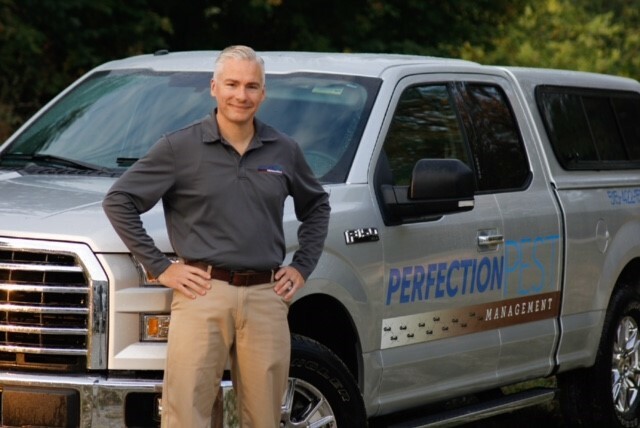 The owner of Perfection Pest Management. I started out working for one of the big bug franchises. The dollars seemed more important than the service. It just didn’t feel right. So Perfection Pest Management was born. We are certified and use the same products. The difference is we call you back, show up, and care. No puffed up pricing or required long term contracts here. I want to be your bug guy. You’ll always get my in-depth knowledge and decades of experience. I’m an Associate Certified Entomologist. It’s my job to give you peace of mind. We do things right so we can sleep at night as so can you. Talk to me, I guarantee you’ll be satisfied. We give you peace of mind and keep your kids and pets safe. Perfection Pest Management is a locally owned and operated family company. Taking pride in providing professional, knowledgeable, honest, and affordable pest and termite control services in Des Moines IA and surrounding area.